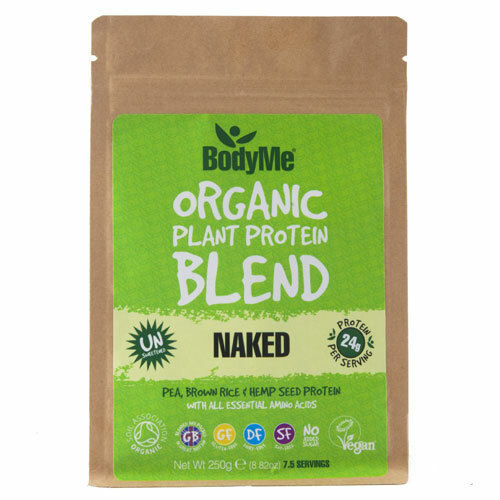 BodyMe keep their naked / natural vegan protein powder blend unsweetened, so is flexible and easily added to smoothies, nut milks, recipes etc... or simply blended with water and a little sweetener / banana for the perfect vegan protein shake or plant based protein boost to a vegan diet. Below are reviews of BodyMe Organic Protein Powder Blend - Naked - 250g by bodykind customers. If you have tried this product we'd love to hear what you think so please leave a review. This has all the nutrients that I wanted but the powder does not dissolve in liquid. I have used a blender and a whisk but it is like drinking liquid sand.